Practicing parents are probably familiar with the situation when they want a free hour, or a little chatting, and their child is the most active. Or is it bad weather and cannot go outside? Visit the new playhouse, where the little ones can jump, roam, slide, hide and seek. While the children are having fun in a safe environment, you can do your own business or just relax. In 200 m2 you can find a ball pool, giant Lego, tunnel, box bag, hanging bridge, maze, slide, rotating floor, trampoline, swing door, giant building cube and many creative games. Trampolines, table football and air hockey are also fun for the children. 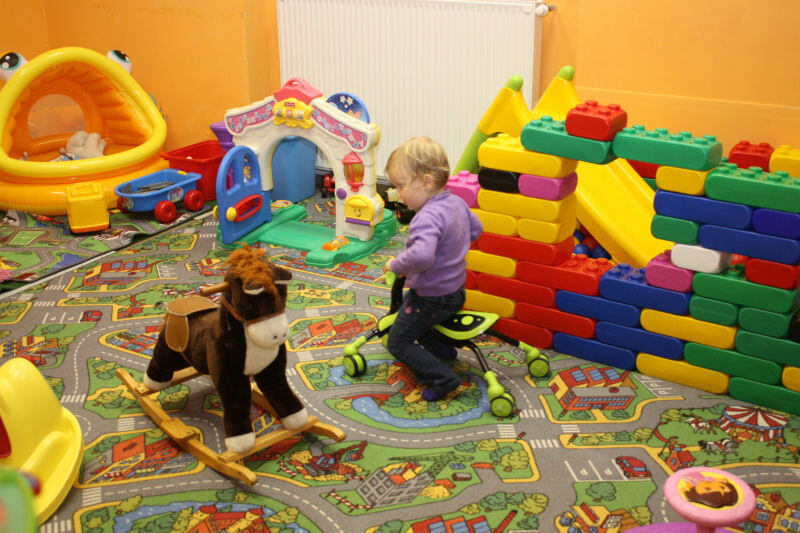 In addition, children can play different games (for example, dolls, prams, cars, motorcycles, rollers, tractors, gymnastics balls, climbing forts, baby kitchens, musical toys, skill games, building blocks, coloring, skill developing toys).